Dual card holders have a top insert of 90 x 70mmand then a smaller insert at the bottom of 90mm x 18mm. 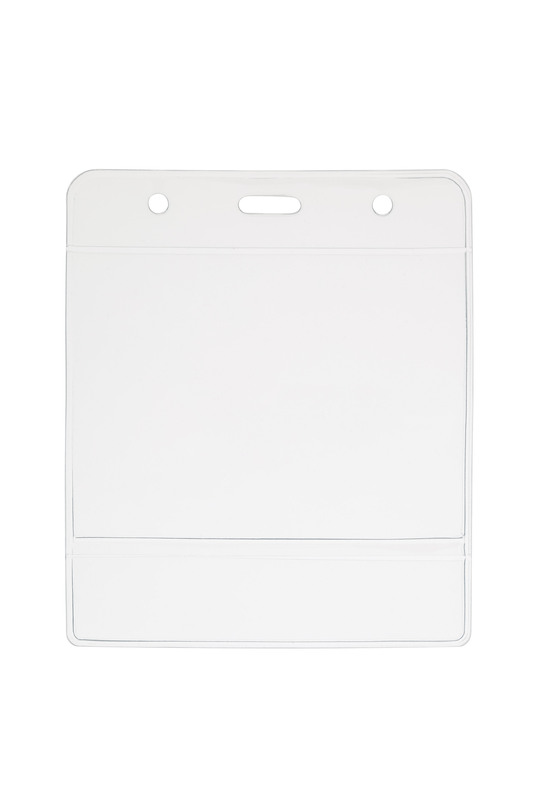 These are perfect for conferences with the lower section being used to identlify the classification of the visitor. Made from PVC material and designed to be held by a lanyard with either simple j hook or alligator clip. These plastic card holders feature a centre hole for an alligator clip or two round punch holdes that will fit most lanyard attachments. The card inserts can be purchased from any leading office supply store.